Until 2 months back, 9-year-Bose Nanda was a sports buff and a brilliant student, full of life. Not even in their worst nightmare did his parents Ayyapan and Shanti imagine that a heart condition would rob Bose of his smile. He needs a heart transplant immediately to survive. Bose is the youngest in his family. He was always active and his parents still find it unreal to see him tired and lying down the whole day. 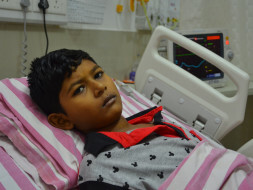 When he had a fever, they thought it would get better but his condition deteriorated. 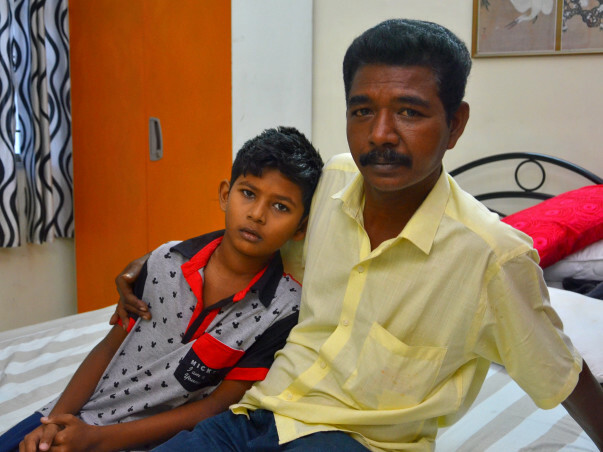 He had diarrhea, suspecting dengue, the doctors gave him treatment for the same. Medicines did not help. When he developed breathing trouble, he was rushed to a bigger hospital. Tests confirmed that he had a serious heart problem. There is a blood clot in his heart. In a blink of an eye, life turned upside down for this family. When he was admitted at first, his heart was functioning at only 25% of its capacity. Now, in just two weeks, it is functioning only at 14%. 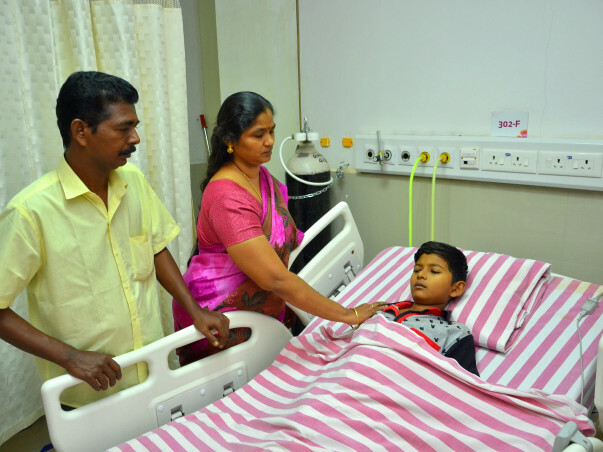 He is in and out of the ICU and needs an urgent heart transplant to survive. Bose is in class 5 and playing with his friends is his favorite activity. He longs to go back to school. He refuses to eat and the treatment has made him tired. Adding to this, he developed painful fissures a few days back. Only a heart transplant will save him now. Bose Nanda has an elder sister Monica (17), she is in class 12. It is a crucial juncture of her education but she is unable to focus on her studies because of how helpless everyone feels about saving her brother. The family is spending sleepless nights since the diagnosis. They can't bear to see Bose suffer this much. Bose needs to remain in the hospital till the treatment is over in case there are any emergencies. ICU charges per day come to around Rs 20,000. Ayyapan has exhausted all his means and is running from pillar to post to arrange money for the transplant. He is both physically and emotionally exhausted. Money is the last thing that he should be worrying about now but the lack of it has left the whole family reeling in guilt and despair. Ayyapan worked as a teacher in a small school. But because he needs to take Bose to the hospital often, he finds it hard to be regular at work. He spends most of his time in the hospital. He has already spent Rs 12 lakhs. He sold all that he could sell of and borrowed a lot of money. The transplant and medications require Rs 25 lakhs which is beyond his means. Bose is now doing well and successfully underwent the transplant. He is back home and is advised to visit the doctor for a regular follow-up to observe him closely for any irregularities. He's also advised to undergo a biopsy in about two months' time to understand his progress. Thank you everyone! 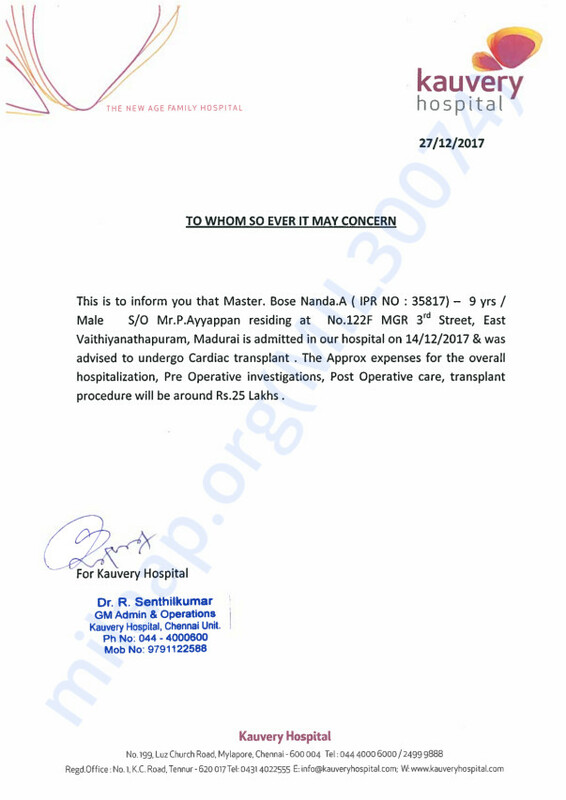 Ayyappan, Bose Nanda's father registered in Heart Transplant Authority of Tamilnadu by paying Rs 1000 and waiting for a suitable heart to be available. Kauvery hospital has given an accommodation and care in annexure till suitable transpant is avilable. In case of any emmergency, it is helpful to stay in Annexure of the hospital. The doctors have mentioned that there is a low chance of recovery with medicine and very high chance of recovery by transplant surgery. Parents are with Bose Nanda hoping to get a suitable heart and looking forward to Bose Nanda's recovery. Let us keep our prayers for Bose Nanda to get well soon. Thanks very much for those who have shared the burden with us and wished Bose Nanda's recovery. We feel cared and supported. We feel that we are not alone, we have a community of people with us supporting this cause. We thank those who could not contribute as well as their situation may be limiting them. Thank you for your prayers and wishes. We will update periodically in Milaap for donors to receive updates. Thanks once again, God bless you all.